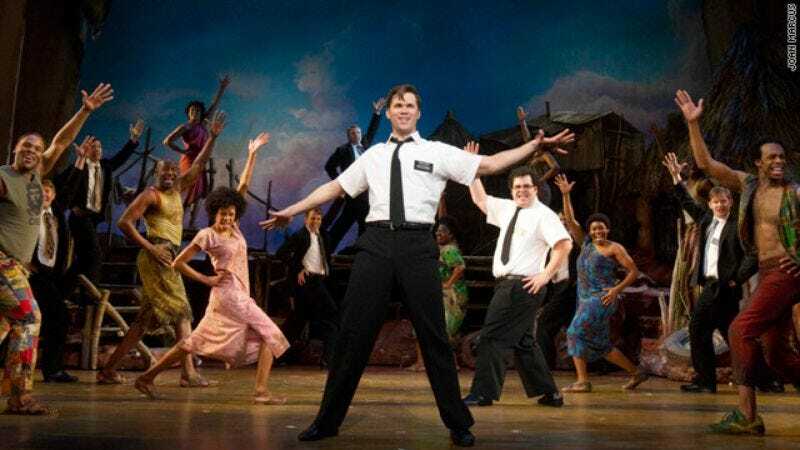 Those who have been longing to see The Book Of Mormon but have yet to make it to Broadway because they are laughably, detestably poor, take some solace: Trey Parker and Matt Stone have confirmed to Entertainment Weekly their long-rumored intentions to turn their award-winning satirical musical into a feature film, which can then be projected onto an upturned washtub or the broad flank of a cow, or however it is you get your entertainment. Unfortunately, while having some obvious experience with filmmaking already, plus the bonus of producer Scott Rudin being involved with the show, should make the adaptation process easy, don't expect to see it anytime soon. The plan is to do it “in several years,” according to Parker, following the original show’s run, a prospective tour, and presumably a break (permanent or otherwise) from their South Park duties. By then, it’s entirely likely you will have succumbed to rickets, but do try to hang on.